Definition at line 39 of file ptr2_test.cpp. 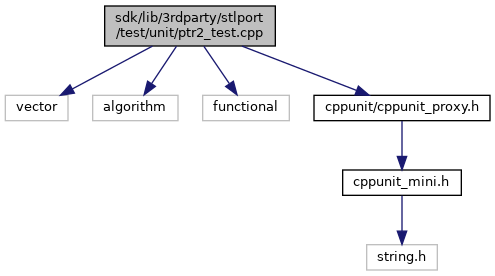 Referenced by crc32_combine_(), Ptr2Test::ptrun1(), and Ptr2Test::ptrun2(). Definition at line 35 of file ptr2_test.cpp. Referenced by AccumTest::accum1(), add_file_hash(), af_sort_and_quantize_widths(), basic_tests(), bezierPatchMeshListNumTriangles(), bezierPatchMeshListTotalStrips(), bezierPatchMeshListTotalVert(), bezierPatchMeshNumTriangles(), box_score(), cf2_doBlend(), cff_blend_doBlend(), CryptCATOpen(), D3DXSHRotateZ(), dir_find(), dir_read(), dir_register(), find_file_hash(), fit_lfn(), gdip_format_string(), GdipSetPenDashArray(), gf2_matrix_times(), hash_ident(), in_cksum(), inet_chksum(), lfn_fix_checksum(), lfn_get(), lwip_standard_chksum(), M16(), M24(), M8(), merge_isofs(), pphash(), pres_dot(), Ptr2Test::ptrbin1(), Ptr2Test::ptrbin2(), rdssl_hmac_md5(), read_color_pixels(), rpn_sum(), rpn_sum2(), s_sum_conf_array(), s_sum_conf_ptr_by_conf_ptr(), s_sum_cps(), s_sum_cpsc(), s_sum_cpuints(), s_sum_doub_carr(), s_sum_fixed_int_3d(), s_sum_L1_norms(), s_sum_padded_conf(), s_sum_puints(), s_sum_toplev_conf_2n(), s_sum_toplev_conf_cond(), stat_sum(), stat_sum2(), sum_sfn(), SYNTH_NAME(), test_capture(), test_clock(), test_timer(), test_worst_case(), uInt64_to_double(), update_checksum(), VARIANT_int_add(), WritePrivateProfileStructW(), ZSTD_debugTable(), ZSTD_downscaleStat(), and ZSTD_upscaleStat().